I am a big fan of technology and follow advancements being made some of the tech giants. However, sometimes I think technology is taking us in the wrong direction. While visiting my son in Florida my wife and I decided to soak up the warmth of the beach. Back home it was snowing and ice covered the streets. Yet, in southern Florida it was warm and beautiful. 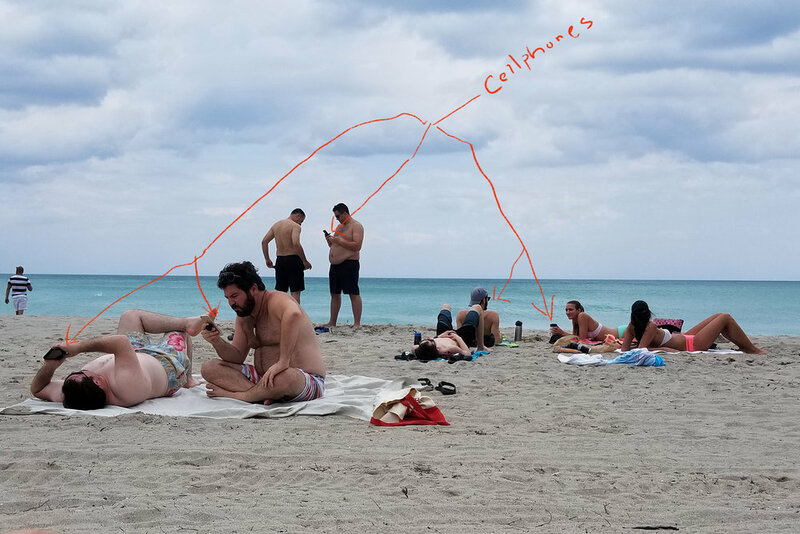 While my wife was taking in some sun (even on overcast days the sun peaks through on a beach), I was people watching and noticed almost everyone was on their cellphones. Gone are the footballs, Frisbees and frolicking in the sand of yesteryear. And before you ask, yes, I took the picture with a cellphone.